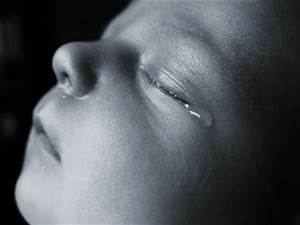 “The greatest sin in the world is to bring children into the world”, Margaret Sanger. In 1916 in Brooklyn, New York, the first Planned Parenthood birth control clinic was opened by Margaret Sanger. It has grown to 650 clinics in the United States alone and partners with other organizations in 12 other countries globally. Margaret Sanger had a mission, EUGENICS and POPULATION CONTROL. What is eugenics you might ask? It’s the science of improving a human population by controlled breeding to increase the occurrence of desirable heritable characteristics. Sound familiar? Isn’t this what Hilter and the Nazi’s wanted in Germany? The perfect race. God makes a perfect race and inside EACH race is called a human being. One that is white, black, and yellow. One that is rich, poor, and middle class. One that is healthy and sick. One that is young, middle-aged, and old. God made us ALL perfect in his own likeness. You can’t make us any more perfect in the body then what He has already created. We fail ourselves; body and soul, and God when we sin. Sin is what drags the human race down. Not the color of our skin. Not our status and not how old we are. It’s SIN. God gave us the 10 Commandments to live by. God gave us the Catholic Church to help us understand these commandments and to receive the graces we need to grow in holiness through confession and the Holy Sacrifice of the Mass. You simply can’t receive it any other way. Confession and the Mass cleanses you from your sin and helps you to grow in holiness and in perfection for GOD not the human race. We are all sinners in this world and God calls everyone of us to come back home. Sin, according to Our Quest for Happiness is essentially an act of the will by which we turn from God, our true end, and choose some created thing as our greatest happiness and our supreme goal. Sin is commonly defined as an offense against the law of God, or as any willful thought, word, deed, or omission contrary to the law of God. Sin is a hateful thing because it degrades us. That is why we feel a sense of shame when we are guilty of it. It is the greatest of evils, because by its very nature it is a rebellion of a creature against God, its Creator. 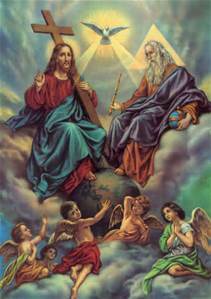 It is an insult offered to the Triune God, depriving Him of the honor which is His due. It is ingratitude of the blackest kind to God who has heaped gifts and favors upon us with an infinitely liberal hand. Our quest should be God and God alone! To help in this quest for God and doing the right thing, the Culture of Life Studies Program has put together a multimedia unit study for high school students detailing how Margaret Sanger changed America’s mind about birth control. If we want to end the threats of this culture of death in our society we must start educating ourselves and start providing a firm foundation for our children to let them know that every human life matters! 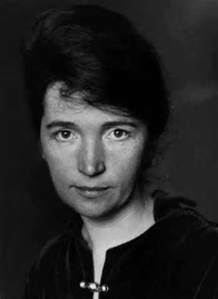 To find out more about this program and who the real Margaret Sanger was, listen to Your Morning Tradition from 6am – 8am and from 3pm – 5pm, Central time,USA, Tuesday, July 5th, on MAGNIFICAT RADIO @ http://www.magnificatmedia.com/. ~ “Living Our Faith”© Click the LISTEN LIVE button and check out our other blogs and audio archives. Check out this VERY revealing video of Margaret Sanger, interviewed by Mike Wallace.